Responsible Tourism involves minimising negative social, economic and environmental impacts of tourism. So it’s about “making better places for people to live in and better places for people to visit”. Responsible Tourism initiatives are designed to benefit local communities keeping cost to the destination minimised. The initiatives enhance the well-being of host communities, offering greater economic benefits for local people. The African Travel Specialists (ATS) have a commitment to making a difference to the places they visit. ATS contribute directly to improve the destination as a tourist attraction. Local communities benefit from each visit that ATS bring to the area. Imagine an area of one square kilmotre with over a million people living in tiny tin shacks with no running water or sewerage – this is the slum “that does not exist” – Kibera in Nairobi, Kenya. Run by volunteers, Women for Women in Africa (WFWIA) is an Australian not-for-profit charity. Its aim is to give the children of Kibera an education as well as the women a skill to support themselves. Combined, these efforts will ensure the women and children of Kibera live a life filled with dignity, happiness and hope. Find out more about WFWIA, the background of the organisation and the incredible work they do. The Hoedspruit Endangered Species Centre (HESC) is in Hoedspruit, South Africa. 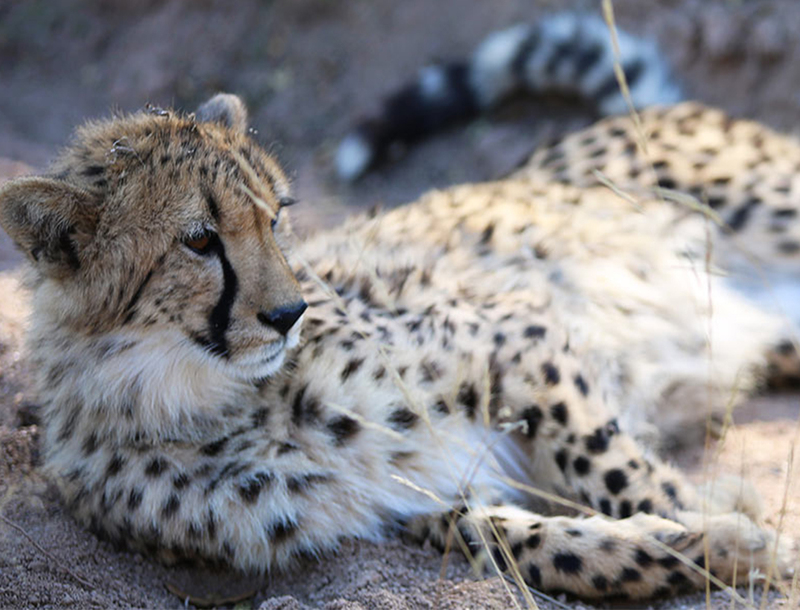 This is a facility dedicated to ensuring the survival of rare, vulnerable and endangered species (in particular the cheetah) in South Africa. This centre also rehabilitates orphaned and injured animals. The Centre is home to cheetah, wild dog, black-footed cats, lion, African wild cat as well as the ground horn bill, sable antelope and more. Students work alongside the team at the HESC as they go about their daily activities. These include feeding the animals as well as ensuring their environment is clean and safe and administering medical care. The programme aims to equip students to actively participate in conserving the wildlife of Southern Africa. In addition, building awareness of conservation on a broader global scale and to experience the beauty and rich diversity of South Africa. Find out more about HESC and how you can get involved in the Hoedspruit Volunteer Program. The inspiration for Rhinos Without Borders is a response to the dire situation that is facing rhinos in Africa. Today, one of the most threatened species in Africa is the Rhino. Poached for its horn, in the misguided belief that it will enhance men’s virility, now a valuable commodity to trade. The demand for rhino horn is at its highest level in history. Two leading conservation and tourism companies, Great Plains Conversation and andBeyond have teamed up to translocate 100 rhinos to the safe haven of Botswana. Botswana has extremely low poaching rates because of its “no tolerance” policy to potential threats. During the translocation each Rhino is fitted with design telemetry devices. This device assists with monitoring and ongoing research. Find out more about how you can make a difference to a species on the brink. There are hundreds of villages in Kenya. However, ATS proudly support the villages below. All of these offer an authentic village experience that clients name as a tour highlight. This Masai village is located in the heart of the Masai Mara, not far from Olonana Luxury Camp and is one of the friendliest villages as well as most welcoming in Kenya. The village and its people are closest to the heart of Richard Ruskin, African Travel Specialists’ Managing Director. Richard received the highest honour by being “named” a Masai elder of the village – a rare privilege for a Muzungu (white person). This Masai village is located in Amboseli and is one of the most pro-active there. With the support from African Travel Specialists and their clients, this village has survived one the worst droughts in Kenya’s history. Because of the financial support provided, Ipiteks’ Village was able to replenish their stock of cows, goats and sheep as well as build a school. Every client who has visited the school vote the experience as one of the most moving and special visits whilst on Safari. This village is located in Samburu, Northern Kenya. This is a great opportunity to see a village in one of the harshest environments in East Africa. It differs to a Masai village in both the style of the huts and the dress of the people. One of the great highlights is eing invited inside a family’s home. There is also an opportunity to learn about how the village operates. There are many opportunities to practice Responsible Tourism when looking at a travel experience with the African Travel Specialists. Whether you are seeking an authentic village visit or keen to participate in conserving wildlife, know that your experience will give back and contribute to the betterment of local community.